Home JHS SuperBolt Give Away Reminder! JHS SuperBolt Give Away Reminder! I don’t want to give away this pedal. I want to keep this. Repeat, I want to keep this. 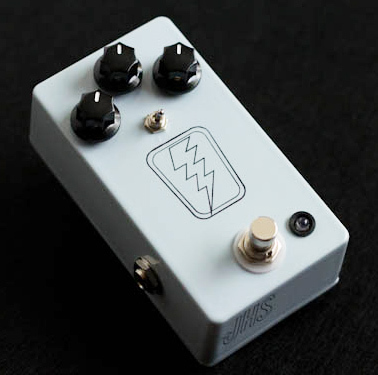 The JHS SuperBolt is a fantastic sound pedal that sounds awesome in different situations – clean amp, dirty amp, high gain amp, etc. It adds it’s own little character and charm to whatever you’re rocking, and that, in my opinion is pretty unique. JHS SuperBolt Give Away! ColdCraft Effects – Cascade Overdrive Give Away Reminder VFE Pedals – Custom Pedal – Give Away Reminder Small Sound Big Sound – Team Awesome! Fuzzmachine Give Away – Reminder!